If life itself is a game of chance, this sport make us all stellar players. What better example of risk and reward than, say, galloping a horse at speed to a solid fence and making it safely to the other side? There are about a million things that could go wrong, and about as many that you darn well better be doing right, but there are also factors out of our control…that’s the scary part to some, but to others, that’s what makes it exhilirating. I suppose for most, it is such because it’s a little scary. But either way, we’re all out there doing it, and no matter if you’re jumping around a 4-star or running your first Novice, the thrill of crossing through the finish flags makes you come back for more. The reality of the sport is that not everyone is so fortunate. Let’s face it – the sport is based on the risk you take to cross that finish line. We have all come to terms with the risk we are personally taking. What I believe most of us struggle with is the risk our horses are taking for us, the one they are arguably unaware of. The start box is the last place you can think of it, and thankfully it’s pretty far from your mind with all the adrenaline pumping through your veins once you do leave the box. So most of us fight this battle with ourselves when it wakes us up at 3 in the morning, and we question whether or not it is worth it, and if it is truly the best decision for our horses. I will admit to many sleepless nights this past fall and winter (really leaves me with no excuse as to why I haven’t written a blog since November, huh?) just because of one minor strain to Pirate’s high suspensory, that was never so much as an acute injury as something that built up until it became something we could see in his movement. But it still made me think…have I done this to him for selfishly wanting to jump around these events? He’s standing in a stall looking mopey because of a pretty standard upper level horse’s work and fitness routine that I put him through?And then I realized something that had been in front of my face the entire time. Yes, Pirate was pretty down in the dumps. The highlights of his stall rest days were his walks, of course, which I thought was for the obvious reason that he just wanted to get out and stretch his legs…but when he was allowed limited turnout time in the paddocks, he looked no happier. That horse didn’t have his usual bright look in his eye until I was able to return him to very light work (i.e. short trot sets), and he began to feel like he had a job again. He is NOT content to stand around eating, being groomed, or even go out in a nice big field with his buddies. He is depressed when he isn’t in work. That horse wants and needs a job to stay happy. He still isn’t quite himself, just walking and trotting along the roads strengthening his tendons, but he sure is a lot happier than he was in his time off. There are people who think this is the most ridiculous thing in the world – “Horses don’t want to work, they don’t like to run and jump, they just do it because you make them do it.” Well, let me tell you one thing here and now. Horses are bigger than us. They are stronger. Half the time, I’m pretty sure they are smarter. They don’t have to do anything, and I sure as heck can’tmake them. Yes, there are those kind souls who do this simply because they are obediant and have been trained to do it. But I find that the people who say the things like, “Oh come ON, get REAL, you are kidding yourself thinking your horse really wants to do this!” have never been fortunate enough to jump their first really, REALLY big table (or ditch & wall, or drop into water, or whatever “that” fence is for you) on a horse they have brought along themselves, and felt that horse land looking hard for their next one, and pulling you to it. Let’s face it – you can only kick ‘em over a fence so big if they don’t want to jump it. 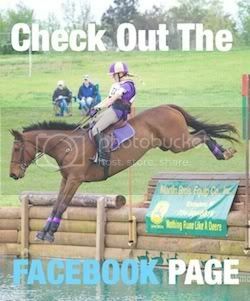 And none of what we’re asking them to do is at all logical for them – does is really make any sense for a horse to jump a huge, narrow-faced, crazy looking obstacle smack in the middle of the field, when there is plenty of space all around to gallop past it? Or launch themselves 6 1/2 feet down into water of depth unknown to them? 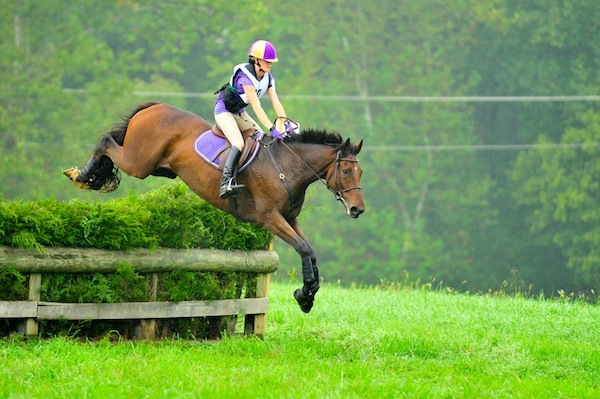 Drop down into a sunken road just to pop back up out of it 2 strides later? Only one answer I can find – because they want to. Because it’s fun. Because they love it…and if we’re lucky, because they love us. It never ceases to amaze me what these horses do for us. All I can do is pity those who have never gotten to experience a horse who really and truly enjoys his job, and have probably talked themselves out of ever getting that chance. It is the responsibility of the rider/trainer/owner to make sure the horse is enjoying his job and fully understands what is being asked of him. If you’re doing your job, they will enjoy theirs. The smart horses know exactly what they are doing; those are the only ones who make it to the top levels. The smart riders make sure of that…and they know the difference between a horse who thinks for himself, and one who looks to us to do their thinking for them. I’m pretty sure the latter tends to happen with horses who spend their lives cantering around an arena rather than the ones who get to gallop through a field. Sadly, though, in this sport and all others, mistakes are made. Riders miss; horses, much less often, can also miss. Sometimes, there is someone or something to blame. Sometimes, it’s just happens – and it can happen at any level, and at any time. No matter why or how, it is tragic. I am not okay when a horse dies on course. I never want to be okay with this. But my heart breaks just as much when a horse gets turned out on that spring grass they so want and then has to suffer through foundering; when a horse gobbles their grain a bit too greedily and colics; when a horse gets struck by lightning (yes, I have lost a horse this way) in the field they chose to stand in rather than the shelter they could have stood under for the storm; when a horse perishes in a fire in the barn we’ve stabled them in to try our best to keep them safe. The very things we give them for their own health and well-being can also kill them. It is always tragic to lose a life, equine or otherwise. I’ve lost horses, and I’ve lost family. I don’t just shrug it off, I’m never okay with it – and I never want to be. But it does happen. It will always happen. And it will always hurt. But we can’t make them miserable by protecting them from everything, because nothing is safe for a horse. The best thing you can do for them is let them enjoy their life while they have it, just like we are all told to do for ourselves. Sure, there are horses who really do just want to stand around in the field and eat grass. Let me tell you a few who are FAR from content with this lifestyle: Pirate. Laddy. Just about every upper level horse I’ve ever met. I also know plenty of people who would prefer to sit around on the couch all day and stuff their faces, and in comparison, it has taken almost 5 months to get ME to sit down long enough to write a darn blog. Horses, contrary to popular belief, really aren’t so different from us. What they ARE is different from each other. When I was 17 years old, I drove up to Thistledown Racetrack in Cleveland, Ohio with an empty trailer, a wad of cash, and my momma. I had decided to take a chance on a racehorse…whichever one I could find. I came home with a handsome, leggy black gelding I named “Flirting With Danger,” known and loved around my barn as Casanova. He won his first event 4 months later on his dressage score of 28.0, darn near won his first Training a month later (time penalties were totally my mistake), and ended up being one of the most scopey and correct jumpers I have ever had the good fortune to ride. 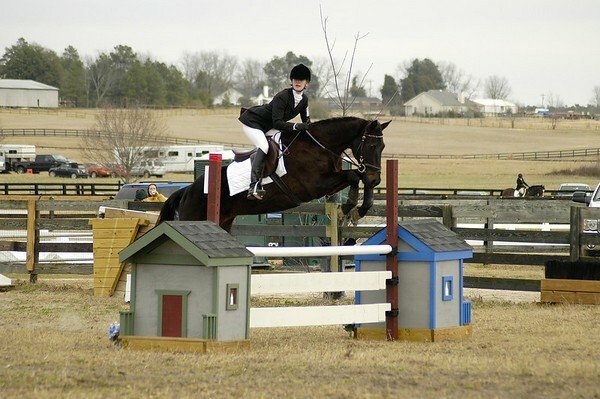 When I moved him up to Prelim, he told me early on in the course that solid fences of that height scared him. I pulled him out not a third of the way around and said, “You know, it’s just not what he wants to do.” I bumped him back down to the level he was comfortable, let him win a few, then ended up teaching on him, as he was such a good “Christian” of a horse. I had him 5 years in total before I finally decided to sell him on as a Hunter to a nice teenage girl. He died 6 weeks later due to colic. 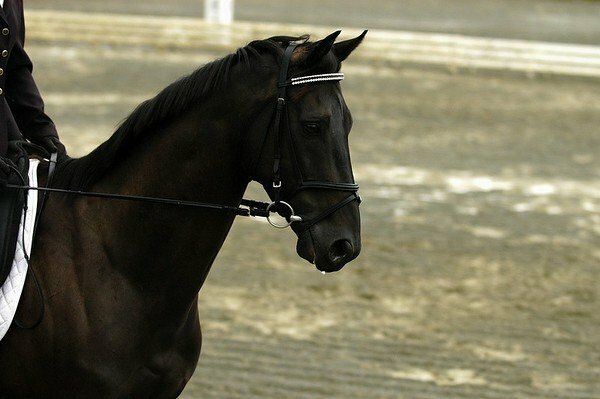 I cried more tears for that horse than any professional in this business probably should. I’ve been in this horse world long enough to have heard the phrase “That’s horses!” a million times. I know that’s just horses. But tell someone who’s just lost a loved one that that’s “just life” and see if that makes them feel any better. You may have to accept it, but you’re still allowed to hate it. Thank God I took that first chance on Cas, because the reward of that risk made me go on to bring many other Thoroughbreds home from various tracks over the years…the next one being none other than Pirate, 6 months after I got Casanova, and the most recent one being Geno, a big, talented 4-yr-old I got from Arch and Wendy Kingsley (my good friends in the steeplechase world) back in December. (More to follow on this very exciting young horse…for the moment, I’m tired of writing!). My point is this: Life itself it risky, but you may as well enjoy it. So do you to what you can to minimize the risk, and hopefully, you’ll get your reward. The sport may be dangerous, but any one of us could also walk across the road and get hit by a truck. But rather than avoid the intersection and settle for what you have done instead of what you could do…just look both ways before you cross the street. Posted in Blog and tagged with 3 Day Eventing, aladdin's treasure, American Eventing Championships, Cross Country, Dressage, flirting with danger, Fox Hollow Farm, horse racing, Horse trainer, Intermediate, Kelsey Briggs, Kelsey Briggs eventing, Off Track Thoroughbred, Show jumping, steeplechasing, The Gentleman Pirate, United States Eventing Association, XC. RSS 2.0 feed. Just spoke to your Ma today and she told me about this site. Reading it makes me extremely proud of you and I’m sure your Godma would be just as proud. Even though, unfortunately, I’m not one of the “horse knowledgable set”, you make me feel like I’m one of you with your writing. 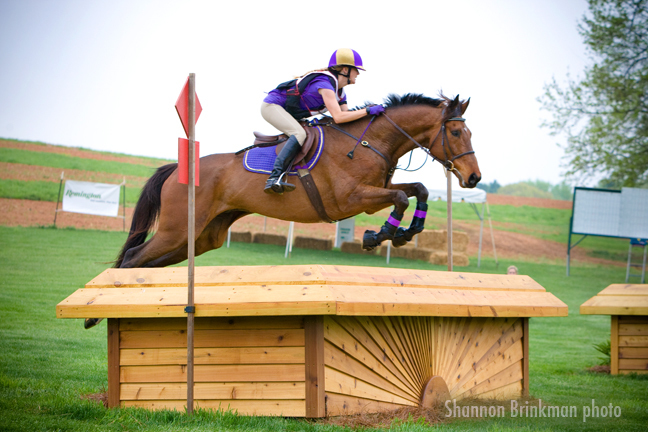 I can feel your love of the sport and the horses with every thought you put into words. I miss you, wish you well and love you.